The Currie Cup will move closer to the business end of the competition this weekend as three teams enter the second half of their campaigns, while the Vodacom Blue Bulls will play their penultimate pool match. The unbeaten Xerox Golden Lions and DHL Western Province will go head-to-head in a decisive match with an eye on possible home semi-finals in the competition – sponsored by DirectAxis Financial Services and Nashua. The Cell C Sharks, also undefeated, have bye. The Toyota Free State Cheetahs, Tafel Lager Griquas, iCOLLEGE Pumas and Vodacom Blue Bulls, meanwhile, will be fighting for survival, as defeats this weekend could knock them out of the semi-final race. The Vodacom Blue Bulls and iCOLLEGE Pumas will kick off the action at Loftus Versfeld on Friday in what is expected to be a hard-fought clash. The men from Mpumalanga have won only one of their three matches so far, while the hosts will be determined to build on their victory last week to remain in the top four on the standings with only one pool match remaining following this clash. History favours the Pretorians, whose winning run at home against the iCOLLEGE Pumas extends beyond 1997. Vodacom Blue Bulls coach Pote Human made three personnel changes to his team, which sees Springbok scrumhalf Ivan van Zyl and Dayan van der Westhuizen earn their first Currie Cup starts of the season, while Johnny Kotze returns to the starting line-up. In the iCOLLEGE Pumas camp, Hugo Kloppers takes over the captaincy from the injured Hennie Skorbinski in a team that shows three personnel changes, with Devon Williams, Morne Joubert and Andrew Beerwinkel being drafted into the starting 15. The Xerox Golden Lions and defending champions, DHL Western Province, will meet in Johannesburg on Saturday where the home side will be hunting their sixth successive home win against the Capetonians. With DHL Western Province coming off a bye, they will have to hit the ground running. But they will enter the match with confidence after registering convincing victories in their first two matches. The Xerox Golden Lions and DHL Western Province coaches made three personnel changes to their teams, with Corné Fourie, Andries Coetzee and Sylvian Mahuza starting for the hosts, while Chris van Zyl will lead the Capetonians, as Michael Kumbirai and Dan Kriel also earn starts. 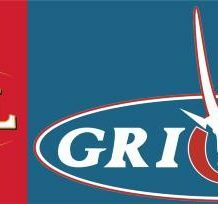 Tafel Lager Griquas will host the Toyota Free State Cheetahs in Kimberley in a bottom-of-the-log encounter, which will be fuelled by desperation, as both teams have yet to win a match this season. The sides have been closely matched on defence with over 140 points conceded, but Tafel Griquas have scored almost double the number of points in their three matches, which they will rely on to give them an edge. Tafel Lager Griquas made five changes to their pack, which features a new-look front row of Ewald van der Westhuizen, Liam Hendricks and Wilmar Arnoldi, while the Toyota Free State Cheetahs drafted Johan Kotze and Daniel Maartens in among the forwards, Ernst Stapelberg at pivot and Vuyani Maqina on the left wing. In a special treat for fans at Emirates Airline Park, they will be able to find and tag themselves on an interactive 360o FANCAM image, compliments of DirectAxis Financial Services, which can be shared on social media by registering on directaxis.fancam.com. A virtual Currie Cup trophy will also be hidden on the image, and those who find it stand a chance to win a VIP trip to the Currie Cup final. 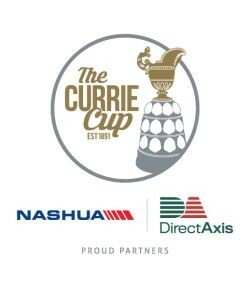 The scramble for semi-final places will also be the driving force in the Currie Cup First Division – sponsored by DirectAxis Financial Services and Nashua – with the Final a little over a month away. The Eastern Cape derby between the Border Bulldogs and Eastern Province will play out in East London on Friday where Border will be determined to build on their first win last week. Eastern Province, in turn, will want to get off the mark after earning only a bonus point in two matches. The Port Elizabeth side, however, put up a good fight against log-leaders, the Leopards, last week, which will boost their confidence. The clash in Welkom between the Down Touch Griffons and Boland Cavaliers on Saturday will mark a repeat of last year’s semi-final. This time around, however, the hosts will have their sights set on their first victory of the season, while Boland try bounce back from a home defeat. The Down Touch Griffons’ defence has let them down this season with 88 points conceded, which is an area they will have improve to work their way up the log table. The Hino Valke and SWD Eagles, meanwhile, will close off the weekend’s play with a thrilling battle, which could see one of the sides occupy the top spot on the log temporarily. The George outfit are currently in second position, one point ahead of their Kempton Park rivals, who will have to come out firing to regain the momentum lost from their bye. The Hino Valke have won their last three home games against SWD, and with their attack being more effective this season, the visitors may have to work hard for a win.